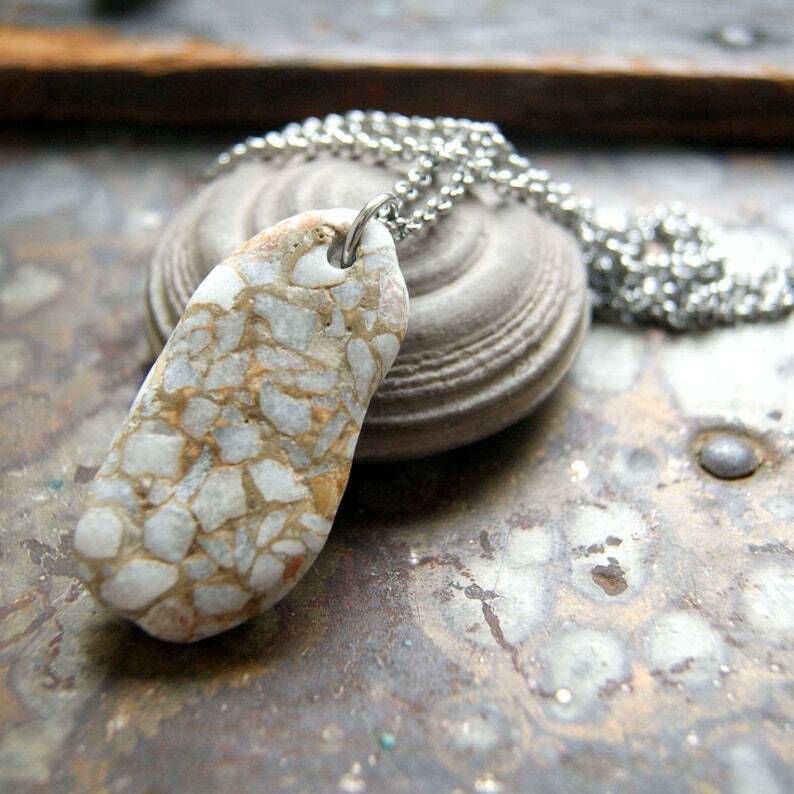 An authentic surf tumbled piece of terrazzo* stone hangs from a stainless steel rolo chain. The pendant is 1 3/4" long. The necklace measures 24" and closes with a lobster clasp. If you would like it shorter, leave me a message when you check out with your desired length in the 'note to seller' box. *Terrazzo is a composite material made of marble, quartz, granite, or glass, etc. that was poured in place or precast.It is/was used for floors and walls. 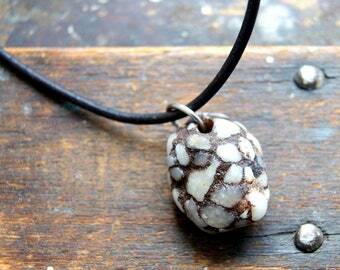 My stones have been naturally surf tumbled and are as smooth as beach stones. You can see the front and back of the pendant in the photo. The last photo shows a sample of the pieces that I have and will be listing soon.